samparkonline: Is your investment strategy designed to achieve success? Is your investment strategy designed to achieve success? 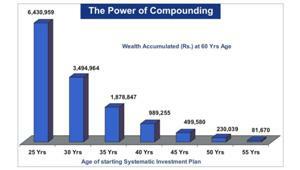 Investing money prudently to ensure that one has enough at every stage of one’s life is becoming increasingly challenging. Apart from facing the challenges thrown up by the ever-changing economic and investment environment, investors also have to deal with their own misperceptions. Many investors also suffer because they are not consistent in their investment approach. In reality, however, there is no place for adhocism in the investment process. By following an on-going investment process investors can not only be successful in putting aside a part of their income for future use but also in benefiting from “averaging”. Therefore, investors must remember that abrupt investment decisions can spell disaster and put their financial future to risk. 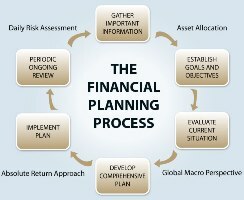 Financial planning can play an important role here. Having a financial plan in place and a strategy to implement it ensures that one is able to allocate appropriate funds for each of the goals. Goals-based investing also helps investors in having a defined time horizon and encourages them to remain invested through their time horizon. The asset allocation process, which is an integral part of financial planning, largely determines the level of risk and the likely returns that investors can expect from their portfolios. Asset allocation is a form of diversification that reduces the portfolio risk more than it compromises returns. When one invests in two different asset classes that tend to go in opposite directions in different market conditions, the combination is likely to have a stabilizing effect on the portfolio. While on the one hand it is good to see an increasing number of investors following a goal-based investment strategy, on the other hand there are investors who often find it difficult to remain focused on their goals. Though there are investment strategies that can help them tackle the market ups and downs, the prolonged periods of non-performance make it quite difficult for them to practice these with a reasonable degree of success. The right way to tackle market swings is to ensure continuity as well as consistency in one’s investment approach rather than following haphazard short term strategies. Since most of the retail investors aim to build a corpus over different time horizons through smaller contributions, the key is to not only invest systematically but also select options that are tax efficient and provide the required flexibility to make changes as and when required. Hence, mutual funds should be the mainstay of the portfolios. Unfortunately, for a number of reasons, a disciplined investment approach still hasn’t become an integral part of Indian investors’ investment strategy. No wonder, even those investors who show a great deal of enthusiasm in the beginning fail to look beyond a few years. In fact, it is quite common to see investors signing up for SIP for a year or two while investing in equity and equity-oriented funds. This kind of tentative approach makes it difficult for them to accept not-so-encouraging results in a current market like situation. It is a pity because a falling or a volatile market provides a great opportunity for investors to benefit from “averaging”. That’s why it is necessary for an investor to not only link an investment to a goal but also have a commitment to invest through his time horizon. For example, someone who begins investing in equity funds through SIP to create a retirement corpus over the next 20 years will find it much easier to handle intermittent periods of volatility. On the other hand, a tentative approach would compel him to analyze the situation every now and then. Needless to say, by doing so, he is most likely to make decisions that are driven by emotions and the current market moods rather than his own requirements. Investors also need to look beyond equity, equity-oriented hybrid funds as well as gold funds while investing in a systematic manner. After all, systematic investing has much more to offer than just providing the benefit of “averaging” from the volatility that exists in the market place. It also inculcates and encourages a savings habit. Considering that an ideal asset allocation strategy requires investors to diversify the portfolio across various asset classes, there is a case for investors to invest in debt and debt related hybrid funds systematically to achieve their short and medium term investment goals. Thankfully, mutual funds offer a variety of funds in these categories that not only have the potential to provide better returns than traditional options but also are more tax efficient.